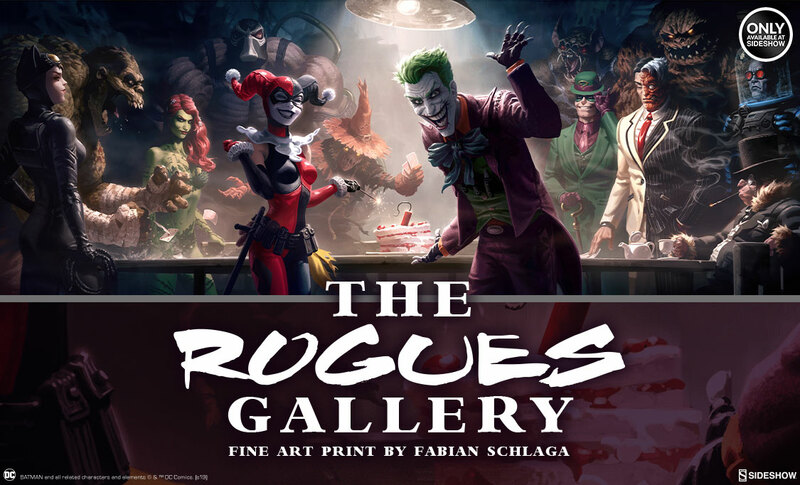 Featuring some of Gotham City’s most notorious foes, The Rogues Gallery Fine Art Print by artist Fabian Schlaga will be the perfect addition to any DC Comics collection! Pre-Orders for the framed version will launch between Noon – 3PM (Pacific Time) on Friday, February 15, 2019! Should any pieces remain, they will be offered unframed beginning between Noon – 3PM (Pacific Time) on Monday, February 18, 2019.